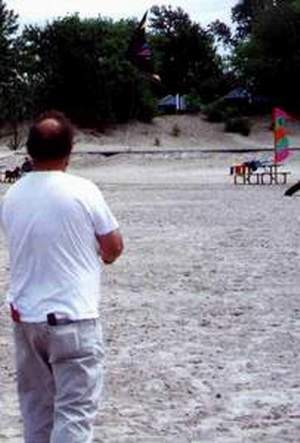 Here are a few of my favourite moments while with the greatest kite club in Southwestern Ontario. Proud moment. 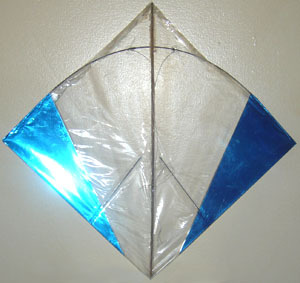 Rick flys one of Lam Hoac's incredible kites. 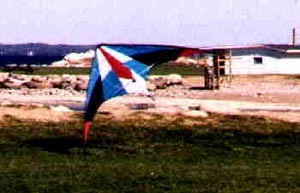 My first really good dual line sport kite. A Premier TnT. Wotta kite! Three are better than one, don't you think? 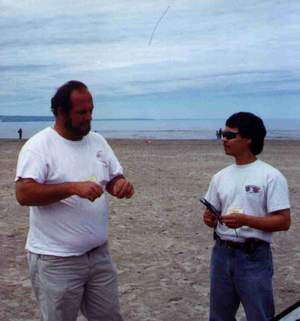 Rick Longhurst and Lam Hoac discuss sport kites at Wasaga Beach. 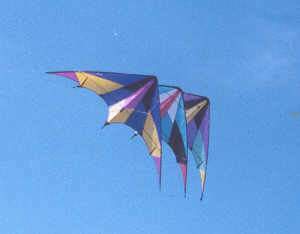 I recently started building fighter kites. 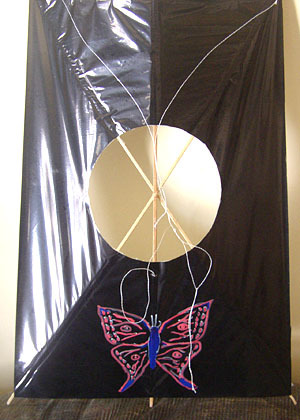 Here is a Korean fighter with a bamboo frame and sail made from black polyethylene gift wrap film. 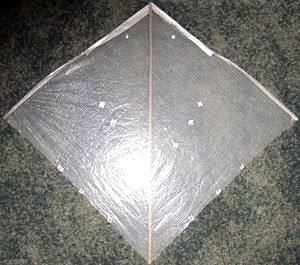 This is a mylar skinned 'Pokey Long Dog' built from a plan by Bruce Lambert. Here is my version of Ralph Resnick's Xphighter 460. The skin on this one is semi-transparent white Orcon. 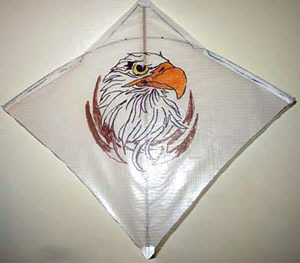 My own design, the 'Baby Albatross Competition', skinned in white Orcon again but this time it is decorated using permanent markers.